Come see us in the Smoky Mountains! It will be the road trip of a lifetime here in the Gatlinburg & Pigeon Forge areas of Tennessee! Every year park rangers investigate many motorcycle accidents. Unfortunately, a significant number involve fatalities. Be alert: Animals may dart out from forest edges. Other drivers may pay too much attention to the scenery and cross over the center line into your travel lane or may suddenly stop their vehicles in the middle of the road to observe wildlife. Sleet and snow may fall on higher elevation roads during any month of the year. Rocks, tree limbs, or gravel may be strewn across roads after storms or high winds. These and other unforeseen conditions can lead to motorcycle accidents. •Watch for vehicles straying over the center line. •Stay alert for sudden stops or traffic slow-downs, especially around scenic pullouts or other congested areas. •Wear brightly colored clothing or jackets to increase visibility to other motorists. •Be aware of road surfaces as you ride. Look ahead for oil spots, loose rocks, trees or tree limbs, and gravel or sand (gravel or sand is spread on roads for traction during snowy or icy weather). •Watch for wildlife at the forest edge. •Be alert for weather changes—unexpected rain, snow, ice, and hail can make park roads hazardous throughout the year. 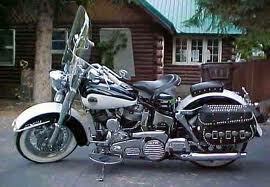 •Secure your motorcycle and valuables when you are away from your bike. •Shake the crowds! Explore some of the lesser used areas and roads. 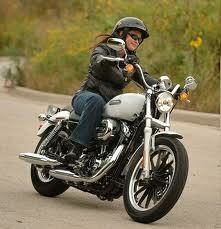 •Wear an approved motorcycle safety helmet. •Don’t speed or pass on a double line—park rangers enforce traffic regulations.